Cycling rarely offers certain picks for races. A sprint finish usually has several contenders, a summit finish could go to one of several riders. Today Alejandro Valverde seems above all the rest, perfectly suited to the race, experienced thanks to past wins and in good form having just won the Vuelta a Castilla y Leon. Who or what can stop him? The Route: 196km and that wall. It’s all about that finish but there’s plenty of climbing on the way. After a start in Marche-en-Famenne the race heads north for loops around to Huy. The Côte de Bohissau – better known to locals as La Flîme – is the longest climb, 2.4km at 5.5% with a steep middle section. The Mur de Huy is scaled three times, when they go up with 29km to go watch to see who looks at ease and who looks flustered as these small clues often reveal what happens later. The Côte de Cherave is back after its introduction last year. Just 5.5km from the finish, it’s 1.3km at 8% average but mostly over 10%. It’s steep, the kind where you see the gradient illustrated by the way each house is higher than the next. Last year Vincenzo Nibali set to work and it makes the race harder to control, the leaders have to start expending the own energy in order to be well placed for the finale but as perpetual attacker Tim Wellens showed last year, taking a few seconds over the top is not enough as the demanding finish will humiliate anyone who starts in oxygen debt. The Finish: 1.3km at 9.6% doesn’t sound like much. But beware the average as this climb starts off slow when riders pass under the flamme rouge and then rises up. Take the inside line on one of the corners and the slope reaches 26% and if you have the luxury of choosing your line then it is only 19%… but longer. The road is very narrow so few get to pick their line. Riders use gears like 39×25 or even 27 for the climb. Once you reach the last 300m the gradient eases up and some have been known to deploy the big ring. The effort is supreme and requires maximal effort but also supreme restraint. Ideally you want to be the first to surge clear but to leave the effort as late as possible. Contradictory? Yes, everyone will be at their absolute max going to the finish line and even the slightest acceleration requires a big increase in force. Launch too early and you will blow. But if you cannot follow the leaders as soon as the steep part starts then you’re out. This makes the final two minutes extremely complicated as riders try to balance lactic acid and oxygen debt with tactical finesse whilst surveying their rivals. If you watch on TV I don’t think there’s another race where the riders all have such a pained look on their faces. Alejandro Valverde (Movistar) is the prime pick. He’s won it two years on the trot, returns in sizzling form and has a good team to protect him including past winner Dani Moreno and Carlos Betancur who has stood on the podium here too. A certainty? It’s easy to be blocked by others on the climb and maybe he simply has an off day? For all his experience he’s about to turn 36 and will be losing the zip in his legs. Today’s L’Equipe reports he was spotted tucking into a pizza and large beer after flying into Belgium, maybe this makes the difference? Probably not. Dan Martin has finished 6th, 4th and 2nd here and his progress suggests a win is inevitable but when, this year or in the coming years. He’s excellent on steep finishes and has a good finishing kick. He’s won already this season in Catalonia but looked less sparkling in the Basque Country, a deliberate ploy or a dip in form? Because of this uncertainty he loses a chainring in the table below. Etixx-Quickstep have Julian Alaphilippe whose form is in the ascendant after recovering from illness. The punchy Frenchman was second last year and if there’s a school of thought that says it takes years to learn this finish he’s more direct and says it’s just down to force on the final climb. Petr Vakoč is a third card to play and at first glance looks too heavy to feature here but he’s got several wins atop steep climbs and the story goes that his team asked him to do a one minute effort and they thought his powermeter was badly calibrated as the numbers looked too high, only it wasn’t as he’s that strong. Sergio Henao is not riding after the team park him pending requests from the UCI’s anti-doping body the CADF. 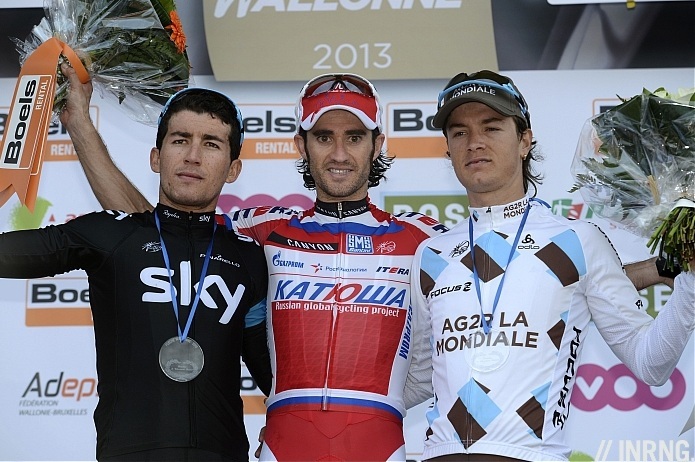 Team Sky’s best bet, he was aggressive in the Tour of the Basque Country and has finished on the podium here before. Yet we said the same a year ago and he went on to finish seventh proving how difficult it is to master this finish. Sky seem to be all on for him with Wout Poels likely to be working to place Henao. Joaquim Rodriguez got the experience thanks to a win in 2012 and two second place finishes but the signs of ageing are beginning to show and there’s nothing a bottle of hair dye or a pot of moisturizer can solve here. He’s had his slowest start to the season since he turned pro in 2002 waiting until early April to finally crack the top-10 so his chances of a win are so highly rated. Philippe Gilbert paid the price for his fractured finger in the Amstel as he could not brake as hard meaning he lost metres on every corner and it all added up, if anything it was impressive to see how long he survived. He’ll have the same problem today but the shorter course could help. He crashed out last year, a reminder that this race is very nervous, so even on a straight section of road he’ll be stressed. 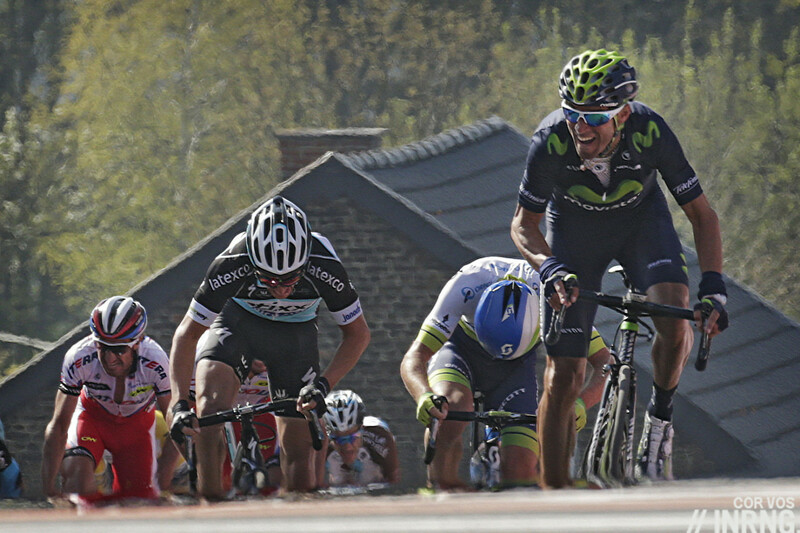 Loic Vliegen rode an impressive Amstel Gold Race so watch him again. Michael Albasini isn’t a star pick but has experience and a handy sprint. He was on the podium last year and has been looking sharp in recent races, albeit as a helper for others. He deserves to be Orica-Greendge’s protected rider, or at least one. There’s no Simon Gerrans but Michael Matthews rides. Surely the climb is too much for him? Adam Yates however has a shot at the podium. What about Enrico Gasparotto? He’s good on short climbs and punchy uphill finishes but after his win in the Amstel surely nobody will give him a chance to get away this time. However on the Mur few riders attack and get chased down, it’s everyone for themselves. Wilco Kelderman broke away on the steep climb above Amurrio in the Tour of the Basque Country and only Mikel Landa could or would follow. While the Basque took the stage this was an impressive result for Kelderman, albeit on a longer climb and he might lack the finishing kick today. Lotto-Soudal have a very good squad with several promising riders but as ever it reads like a cast of supporting actors rather than top bill riders. Jelle Vanendert has placed here before, Tim Wellens is in good shape and Tony Gallopin can try the sprint. But how do they win? Some will have to attack but no breakaway has worked in this race since 2003. Rui Costa and Diego Ulissi are Lampre-Merida’s leaders and Ulissi is probably the better bet for the finish as he’s a sharper finisher with Rui Costa a bit more of a diesel who is suited to Sunday’s Liège-Bastogne-Liège. Ulissi has been quiet this year but popped up with seventh in the Amstel. Finally some other names hoping to crack the top-10. Cannondale’s T-J Slagter is made for a finish like this while Simon Clarke is an outsider for the podium and Michael Woods has the physiology for finale but surely lacks the experience. Warren Barguil continues his return to form; Cofidis Arnold Jeannesson is thriving again at Cofidis and Daniel Navarro is climbing well; FDJ’s Arthur Vichot needs a result and Tinkoff will probably ride for Roman Kreuziger while Michael Valgren shone last Sunday today’s finish surely doesn’t suit. Weather: a typical Ardennes spring day, 14°C and sunny with a 20km/h breeze from the north-east. A lot of the course is in woodland but if the wind does get up there are a few exposed sections to exploit. TV: live coverage starts at 2.30pm Euro time with the finish forecast for 4.35pm. You might be tempted just to watch the finish but it’s worth watching them climb the Mur de Huy earlier on to spot who is doing what and they’ll go up it at around 3.50pm. It’s an ASO race and notionally available on the same channel you watch the Tour de France. If not there’s Eurosport… if not you’ll find streams via cyclingfans.com, cyclinghub.tv and steephill.tv. 194km and an uphill sprint? The last winner from a breakaway was Igor Astarloa in 2003 and since then the Mur has hosted an uphill sprint every time. ASO keep tweaking the course but can’t stop the race being locked down, perhaps the UCI is needed instead with a rule change for smaller teams although the big squads would reject this. As Jelle Vanendert told newspaper La Voix du Nord the race can be boring to watch for TV viewers but that’s because it’s a very difficult race with teams setting a high pace to control matters. Maybe a breakaway sticks today? Probably not so if you do watch look for the small clues like who is out of position, who looks at ease and so on. Women’s Race: Huy is not the most scenic place but it’s worth visiting for the race because the Mur allows you to see the men’s race several times but also the women’s race too. Marianne Vos is back but we’ll how much the grass has grown under her cleated feet with a range of rivals now able to win atop. You can see a dedicated preview in listicle format over at cyclingtips. Flèche: it’s French for arrow, a poetic way to imagine the race crossing the Walloon landscape. The car behind Astarloa – what a beauty. Yes, will go and scratch him out above. Cycling needs a wall of shame. I would have been right behind you 4 years ago. But now, I think we should wait until all the “official” facts are out, and then wait for the second set of facts, and then see how it all plays out, before we talk about shaming anyone. And to be frank, I am not a fan of Sky, but I am even less of a fan of how the UCI is misusing the passport. Henao won’t be racing according to Team Sky. Damn it jollygoodvelo! I’m not getting funny looks at my desk as I can’t stop laughing! Yet another ‘marginal gain’ by Rupert Murdoch – unfortunatly / luckily it was discovered. It’s generally recognised now that the Ardennes races are a big step down from the cobbled classics in terms of excitement, but what are the best ways to remedy this? Smaller teams, as Inrng suggests, are one obvious way to stop teams controlling the race. Another is to make the middle of the race harder relative to the end, to burn off domestiques earlier and also give a better chance to a break that goes from a long way. This might be unpopular initially if it means removing some of the 20% type climbs from the run-in. Maybe strategic use of ‘pinch points’ like narrow roads/bad surfaces/sharp corners, similar to the way the Roubaix cobbles are taken by the peloton almost in single file, increasing the likelihood the peloton breaks into groups. Lastly, plan for the prevailing southwesterly winds, and give the finishers a tailwind to help the break stick, also try and align exposed sections so that crosswinds are likely. Also, give LBL a flat(ter) finish, a la the Ronde: that way, riders will (hopefuly) force a selection earlier, knowing that they can’t just leave it all to the finish. 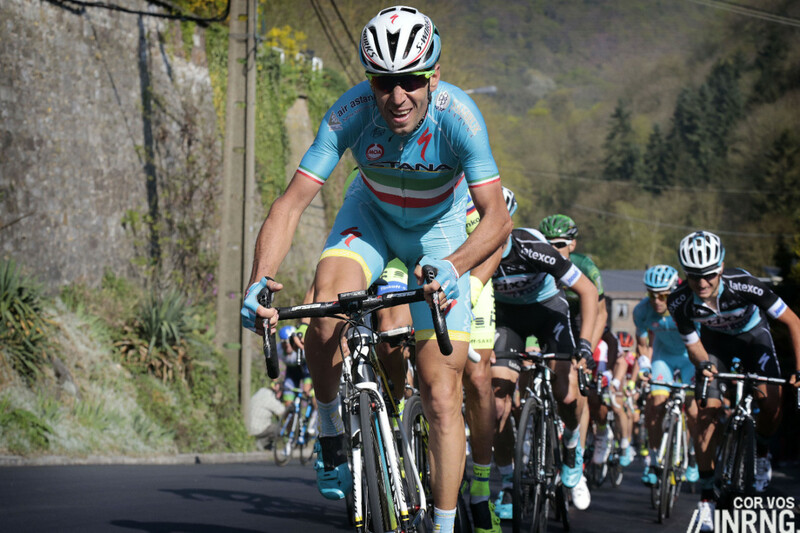 With three summit finishes, riders know that a long distance attack is unlikely to work in the Ardennes. The flèche wallone is the only one of the Ardennes’ race where the boring uphill sprint finish is excusable. The Mur de Huy is quite iconic. Nevertheless, I think all 3 ardennes’ classics could have interesting changes in terms or route. In the flèche wallone, I would add a climb just before Cherave (there is plenty near Huy). In LBL, the last ks should be completely reworked. This is such a pity to arrive in such an ugly neighbourhood after a day in the Ardennes. As well, a flat finish would be better. For instance, after the roche aux faucons, another climb in the ourthe valley might be added before going to Liège and finish near the Meuse (as it was the case before the arrival was set in the suburb of Ans). Just seen they add a (cobbled) climb in the last 3km of LBL. Curious. Hope that Dan Martin can get the win. He has often looked in the wrong position coming into the finish and has had to expend extra energy. Hopefully Etixx can help with the tactics. Maybe Vakoc or Alaphilippe attacking early? With regards the other news I’d obviously be interested to see other people’s thoughts. I’ll defend Sky (and hope I’m not made to look a fool) by saying it’s good that they have been open about this. Would other teams have tried to keep this quiet? If Henao has been up to something nefarious he’s either mad or stupid considering how long he has been flagged. It seems to be the old data that has been flagged up rather than something new. As you say we don’t know how many people get invited to ask questions, how many the system is flagging up and people respond and the case is closed. We only see the cases that are open and go to prosecution/hearing. Wouldn’t it have made more sense for this to be resolved before he came back? I know it’s a very long process but if Sky can organise research to be carried out on him and at the end of it be satisfied, more time taken, then surely it shouldn’t be a further year plus before CADF then flags the same issue. My understanding is that whilst Sky had communicated Heno’s situation with UCI & CADF, the latter two couldn’t just pull Heno’s data of the period out of the Biological Passport Data base. A majority part of how the 3 experts panel work is that identity of the athlete they are analysing remains anonymous. By that reasoning, neither could Sky’s study report be attached to Heno’s data as that would certainly indicate to the experts who’s data they are analysing and generating prejudges that are either to the athlete’s favour or against him/her. In Hano’s case, whilst the experts require more information, the information may already be in UCI & CADF’s hand. It may just be a straightforward case of the experts being given the Sky report and decide to agree or not agree to it (In the case of not agree, Hano can certainly submit more evidence. Or he can choose to highlight/re-arrange the 2014 report that better explains his situation). Whilst I doubt Sky did this on intention, their public announcement did muddle the water by strip away this layer of confidentiality and force the experts to face the fact that the data they flagged did belong to Hano. The experts are very much likely to be more lenient to Hano when they realise that the athlete had already been suspended for the same issue by his own team for 3 month. This feeling may very well magnify their doubts and make them overlooking some concrete evidence that may indicate Heno if he was indeed doping. Regarding your last sentence, remember that he wasn’t suspended as a punishment, he was removed from racing in order to carry out testing at home, at altitude. The theory is that he is, because of the genetic evolution of his ancestors living at a high altitude, predisposed process oxygen much more efficiently* than an average human. *Experts, jump in. I am not a physiologist or a biologist. Thanks Hoh for the response. I suppose I was hoping they had a type of two tier system that if a rider and team were happy to forgo anonymity at a point the process could be speeded up. @ Larrick: I am afraid that efficiency brought in by forgo anonymity would be gained at the cost of reducing objectivity of the experts’ judgement. Though I suppose pass certain point, strict anonymity is not possible. @ Anonymous: Maybe I didn’t express myself clearly, English not being my first language. I am not indicating in any way that Heno is doping. To the contrary, given what he’s been through, I firmly believe that he is innocent. However, whether I believe in him or whether the experts personally believe in him shouldn’t matter, as these are subjective judgements. The only thing that matters here is the objective interpretation of the Data. The anonymity here is designed in to separate personal subjective believe and scientific objective interpretation of data (well, objective to the best extent. Even void of individual information, the experts’ academic leaning would still affect how they interpretate data). By breaking the anonymity, personal belief is introduced back into the system. It may work for Heno (if the experts believes in him) or against him (if the expert is a Sky Skeptic). The point is personal belief is now clouding objective scientific judgement. That said, I am not saying Sky did this with bad intent. They probably did it without realising the knock on effect. However, UCI should have rules to ensure anonymity within the procedure. @hoh: No problem, your English is very good. As you say, once there’s a case to be answered, anonymity is out the window. If any team is self policing and is willing to suspend a rider, at this point CADF could skip, from a process point of view, to the case to be answered phase whilst leaving their experts to view the data without the rider being known. If all teams had to self police and suspend when there was anonomlies, there would be multiple cases like this. Besides, the experts would still be reviewing data of other riders so from their perspective nothing changes. It’s the case management process that would be tweaked. As it stands it looks like they got to Henao whenever it came up in due course. I’m just advocating that whoever manages the process puts his, and anyone like him, to the front of the queue. The experts wouldn’t need to know who the rider was until/unless they’d agreed there was a case to answer. I won’t jump to any conclusions about Henao & Sky, but I don’t agree in trying to put a pro-Sky slant on the story. Try to see it this way for instance: A team owned by mass-media low-lifes the Murdochs tries to spin a very bad story for them into one that actually reflects their honesty. Not that you’re jumping to conclusions or anything, Andrew – far from it. That was very clever – calling yourself Mass-Media Low-Life. I’m chastened. But no, I don’t think I’m jumping to conclusions describing the Murdochs as mass=-media low-lifes. Why’d they close the News of the World again? Something to do with hacking into a murder victim’s phone – and that no one would be in the slightest surprised of such ethics of action by the Murdochs. Low-lifes seems perfectly reasonable. And, if perhaps your powers of intellectual discernment are a little lacking this morning – perhaps your coffee was a little weak – I said”Try to see it this way for instance” as in not saying this view was the truth of the matter but it could just as easily be viewed as fair as the idea the story somehow reflected Sky’s honesty. For instance if this story was as is except that Henao rode for Astana. Most media have come to realize their influence potential. I’m not a fan of how the UCI is using the passport these days, but let’s wait and see what happens. 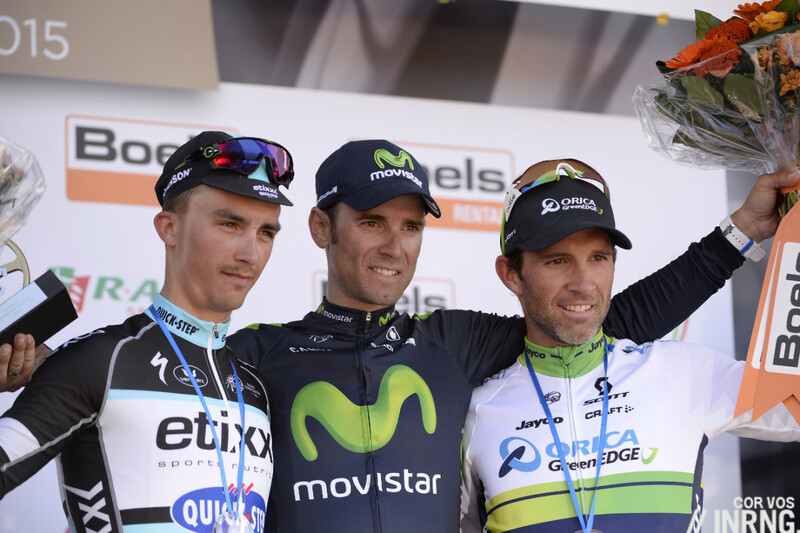 Hey Inner Ring, Alejandro Valverde will be 36 years old in five days time – the same age as Purito! I wonder if they carry Mint Humbug sweets or Wurthers Originals instead of energy gels? Vocabulary note: The word “arrow” is translated in flemish by “pijl”. So the brabantse pijl is the “arrow of brabant” (brabant is a belgian province). This race is called ‘de waalse pijl’ in Flemish. Good answer! The point is that you cannot use a such a nickname as irungo txuletak and spell Kontador as it should in spanish castillian… This said, despite of this steak story, I always have appreciated the way he rides. On the 194km paragraph second line…should team be time? Otherwise I cannot see past Valverde either although I would love to see Alaphilippe win it! Some people on Twitter have been laying money on Betancur too, brave! Amazing likeness in the top photo. Alaphillippe didn’t get the memo. Feeling the love for Valverde, more now than ever. I struggle to find love for an unrepentant convicted doper, even though I realise he is apparently a very nice man in person. The doping accusations will always cast a shadow, but, let’s it face it, that was years ago now. If you look at his performances since 2010/11 when the sport got cleaner, hands down, he is probably the most versatile, adaptable rider out there and yesterday was a master class in timing and putting the power down when you need to. He’s simply got this race aced. Having just watched the coverage, I’m delighted at your picking the top three IN ORDER. Great predictions! Inring had this race nailed, essentially picking the podium, as well as identifying most of the top ten. Bravo. Or is that success a function of the races “predictability”? It’s certainly one of the easier races to predict given there’s form to study and the Mur de Huy leaves little to chance. Inrng gets the big prize, picked the exact placings for 1st, 2nd, 3rd and 5th. Has that ever been done before? Dan Martin still hasn’t learned the tactics of this race. Maybe you could coach him. But to me, EQS played this perfectly and just got beaten by better legs. I agree. EQS played its cards very well. No questions about that. 2nd and 3rd is not a bad result against Valverde who is in top form. 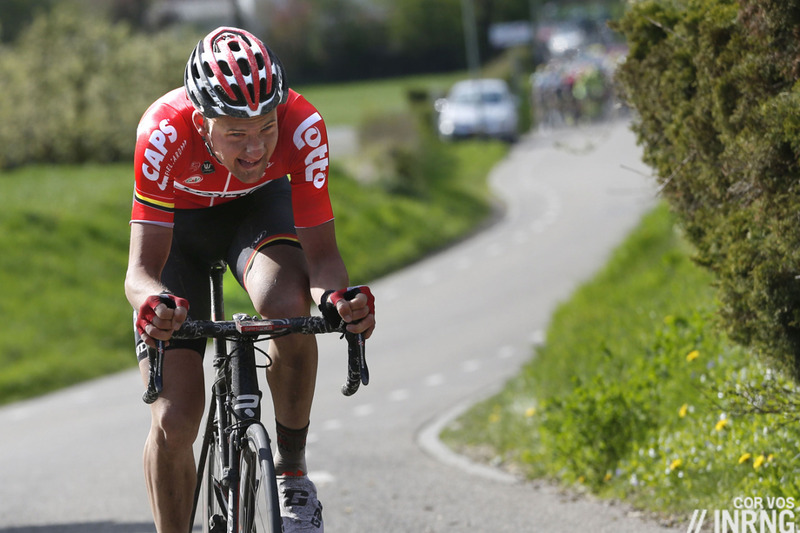 Also Tim Wellens’ attack was spectacular again but perhaps a few kms too soon. I wish him better luck next time. No way to know, but I cannot help but agree with J Evans. What happens if Martin waits to attack closer to the line? He got a gap on Valverde but Valverde just reeled him in. Yep, you ride the race exactly as Valverde did – just sit adjacent to him. Doesn’t mean you’ll beat him, mind you. DM attacked to early (again) and even JA started behind AV – why: there’s no slipstream effect – why give yourself an instant 5/10m disadvantage? I saw it as him working for Alaphilippe. But there’s no slipstream effect, so why? According to DM, he went for the win and this was just the tactic: ‘Julian would stay on Alejandro’s wheel and try to beat him on the line, while I would go from a little bit further’. I think you don’t go early and you don’t start behind AV. Still think AV would have won anyway. There is slipstream effect at 20-25km/h. It’s not much but there is. This strategy worked for DM in Liege against Valverde in ’13. Also, you can say JA’s tactics were wrong as well. Only one teammate can attack and one can sit behind. But in FW, it’s too steep to do anything but wait – or so it seems. Honnestly, I don’t think there is a point here. It was just a question of raw power, and Valverde had more of that than the rest. Can someone explain honestly to me, how did guys like Rui Costa, Albasini, Ulissi, Barguil, Kelderman, or Kreuziger expect to win this race yesterday. By expecting Valverde to crash? No way they could beat him, or the other guys on the podium, on a one-to-one showdown over the Mur. If they don’t try to rip the race before Huy, they can never win. What were they thinking yesterday morning?? Another one of those stupid situations where the vast majority of the peloton is objectively not interested in a bunch finish and still they let it happen lazily, and then they lose. It’s near impossible to ride away while keeping something in reserve for the final climb in order to beat the others. As a result many settle for a top-10 place. One upcoming topic should be the rising value of UCI points again as there could be 19 teams aiming for 18 World Tour spots although the World Tour itself could be devalued if the UCI and ASO can’t find agreement. But the short version is better to make the top-10 and get some points than try and get reeled in and finish 37th. The UCI points system used to be a bad situation – because it encouraged riders not to go for a win, but to be less attacking and settle for some points. Without it, many would still ride as Ferdi has described, but the UCI should not have a system that means this happens more often. In his post-AMG interview, Gasparotto spoke about just that – how his current situation on a non-WT team (and not worrying about WT points) caused him to race for the win and not top 10 in on the Cauberg. In FW, he was up there but seemed to do what most other favorites did – drag race up the Huy. It’s a different hill than the Cauberg, for sure, not much room for tactics once everyone starts grinding up it. I never understand this either – you might as well give it a go (as Wellens always seems to). Yesterday, a whole bunch seemed to just ride along behind the leaders up the Mur. Maybe they’re already thinking about points (would you really care if you were 8th or 20th?). The points system is dreadful: only the UCI would dream up something to encourage conservative riding. It’s also grossly unfair on domestiques: their worth (and thus their salaries and/or chances of getting a contract) is decreased because they have no points. Yet we all know that you cannot judge an awful lot of cyclists simply on their finishing place. Again, whoever is in charge of cycling should know this. You could adjust a points system so that it rewarded all riders on a team with points, depending on their best-placed rider’s finish. Or you could have the points stay with the team – thus it has no effect on individual riders’ futures. This would also make it a bit less likely that riders who are moving teams next season are forbidden from riding by their current team. Nobody is “just riding along”, the pace is furious which is why it is so hard to get away, it just doesn’t look that way on TV as we the peloton, not the effort. I suspect a lot of riders set personal bests for watts over several different durations yesterday. I know – hence ‘seemed’. Really just a turn of phrase – it being inherently obvious that going up a very steep hill not far behind the very best riders in the world would not be easy. But the option to attack earlier is there: it’s worked in the past and some riders tried it in this race. However, the best climbers who are not that good in a sprint don’t seem to have the courage to try an early attack – yet they must realise that this is their only chance (however small) of victory. But to some it’s more about points and watts, it seems. Ok, Movistar drives a fast pace to prevent any disorders, and is quite competent at that. 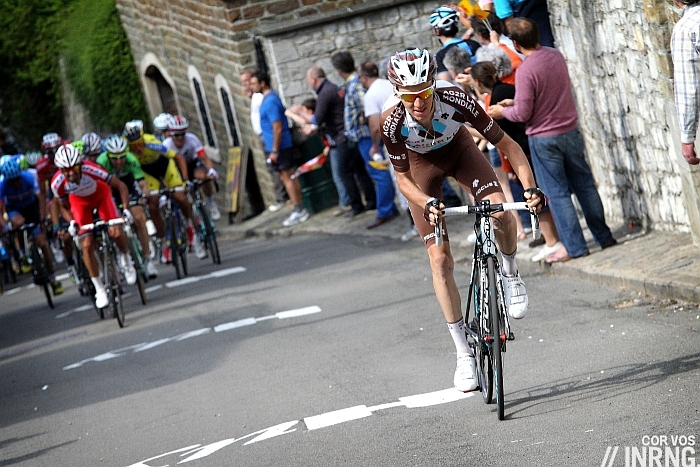 But other teams have enough power to accelerate in the climbs, and cause selections. And, especially, many teams have more than one leader, so one can take chances and sow chaos, obliging Valverde to make choices, while the other leader wait in the wheels. I don’t know what good do yesterday’s results bring to Rui Costa/Ulissi or Dan Martin/Alaphilippe or Kreuziger or Kelderman. To me it’s obvious that they might as well have tried to, at least, isolate Valverde early on. “Try” is the key word. It’s difficult for sure, but it’s still more than being 4th or 7th for a rider who’s already achieved more than that. The effect on domestiques is mitigated somewhat now that only the top 5 riders’ points count towards a team’s ranking. Watch more than the last 2 Km. Steve Cummings really gave it a go. Maybe he went from too far, but he made a great effort to turn it into his race. He made both Sky and Movistar come to the front and burn riders to bring him back. I really like what he can do. He has an individualist streak that didn’t seem to fit in at Sky or BMC, but at Dimension Data he has mad the most of a late attacking style. Three stage wins in two years. I did thanks. Hence, I said ‘some riders tried it in this race’, but ‘the best climbers who are not that good in a sprint don’t seem to have the courage to try an early attack’. Yes. I quite like Cummings, too. Also Wellens. The best man on the day won! again.